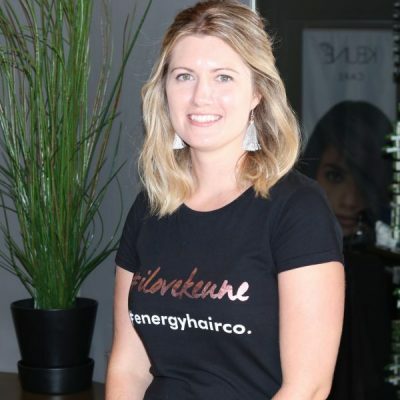 Yvonne joined the Energy Hair Co team in December 2017 after moving to the beautiful Sunshine Coast with her family from New Zealand. Yvonne has 18 years of industry experience that has been full of education from leading international stylists and brands. She specialises in all aspects of cutting, colouring, colour correction & wedding hair styling. Yvonne is very passionate about all things hair, she is dedicated to making every client in her chair look & feel amazing!